For those who like warm weather, it is time to give thanks to mother nature for a great holiday weekend of weather. We are currently in a zonal flow (west to east flow in weather), but his will soon change. 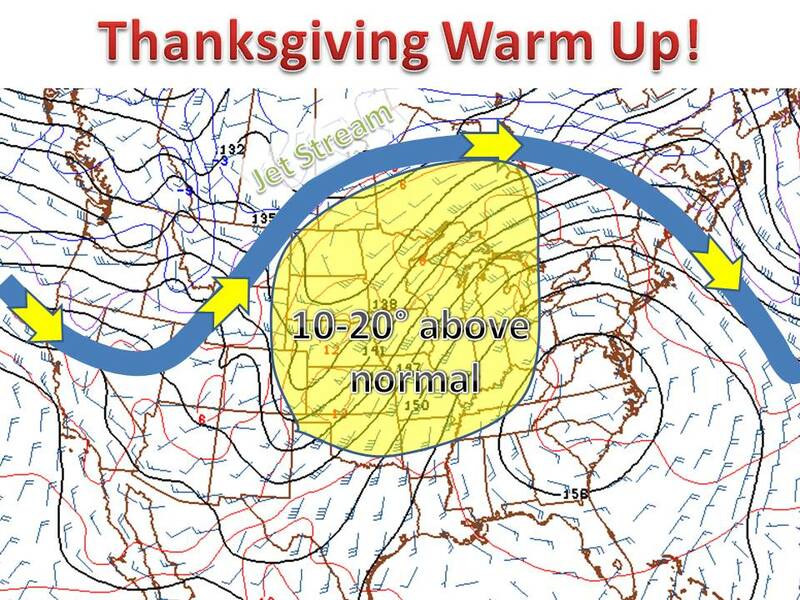 The relatively horizontal jet stream will bend northward causing a southerly wind and ultimately warm air. 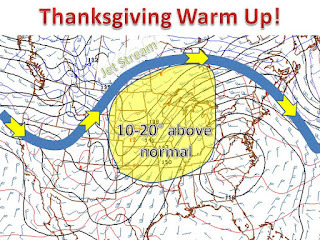 Temps will run 10 to 20 degrees above normal on Thanksgiving, throughout the whole midwest. A storm system may will then bring rain, and maybe snow to eastern parts of the midwest Saturday and Sunday and then colder air, but lets deal with that later. Enjoy the warmth, and keep it here at midwest weather talk!